I am in the process of buying a home and my boyfriend is moving in. He will be paying rent and splitting some bills. I was advised to get a cohabitation agreement. Is this the kind of situation it is for? If you are living common law the rule is normally that each party keeps what is in his or her own name. So, if the house is in your name, the house remains yours. However, over time this can get complicated. If you cohabit for a long time, have kids together, integrate finances, etc. your boyfriend can make what is known as a claim for unjust enrichment. Basically, he would say that he contributed to your home, financially or in non-financial ways, or perhaps contributed to your career, etc. He was not compensated for that contribution, you benefited from that contribution, so it is unjust. In a case like that, a court can award him part of your house. To prevent that sort of situation, you can enter into a cohabitation agreement that basically states that the house is yours, no matter what, even if he is paying the mortgage, doing renovations to the house, and so on. So, the cohabitation agreement provides you with certainty as to what will happen to your house, and prevent potential claims for unjust enrichment. 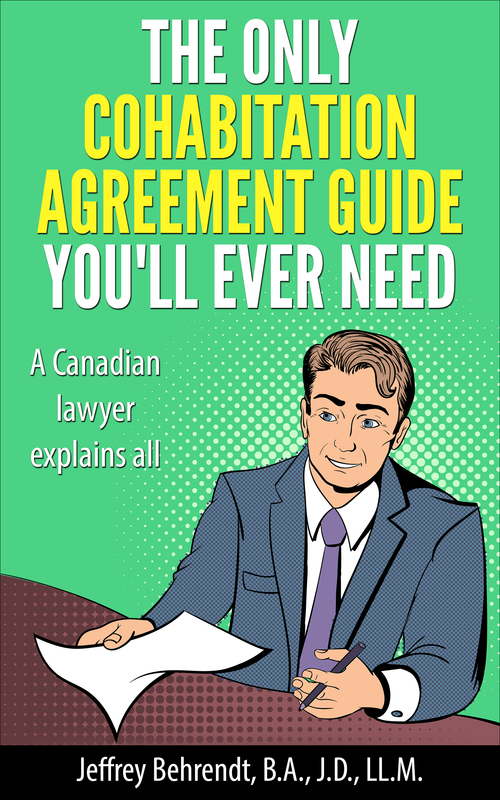 Should I get a cohabitation agreement before she move in with me or just before the common law law’s applies to us which is after living 3 years together in Ontario? She will be selling her condo in Edmonton where she lives and leaving two jobs to come to live with me in Ottawa in a home that I own. If she can’t find a job and we break up after two years can she come after my house and get spousal support? She has allot less money than I have. @Real – Yes, I would generally recommend a cohabitation agreement in that situation. Without it, after a while your partner could have a claim for unjust enrichment, and after 3 years or a child, could have a claim for spousal support against you. I am about to get married in a few months however my fiancé is economically weaker than myself and I would want economic protection upon separation, if it came down to that. I would not want to be responsible for his debt when I have none. Would a cohabitation agreement be for us? @Isabelle – What you’re looking for is known as a marriage contract or prenuptial agreement. It’s the same as a cohabitation agreement, just for married people. See this website.